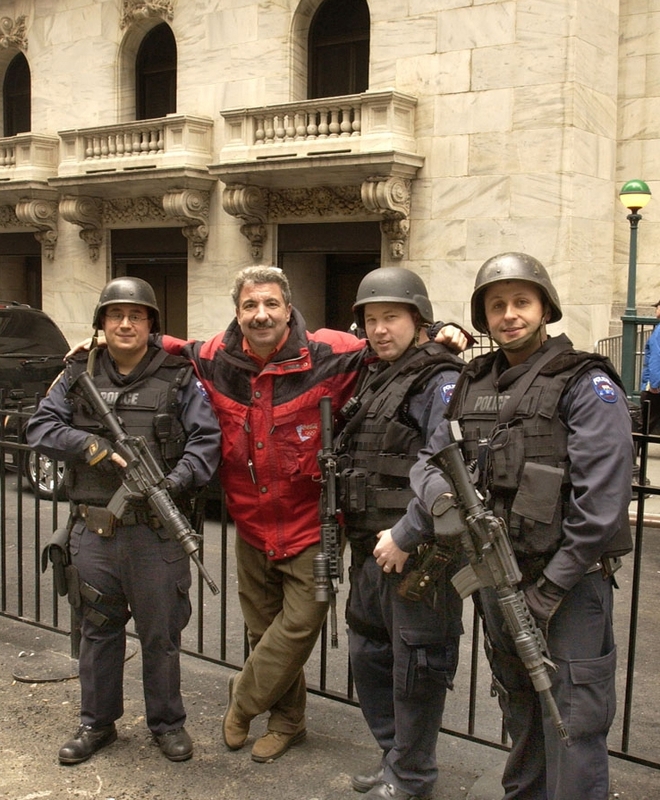 Joe Polimeni meets NYSE Security prior to a shoot in front of the Exchange. About New York and Detroit Based Photographer Joe Polimeni. According to my mother, my pictures “came out clear.” It was a start. It seemed I was never without a camera. The high school newspaper and yearbook were my early beat. My hobby segued into a summer job running film to a lab for New York fashion studio, which lead to shooting runway. 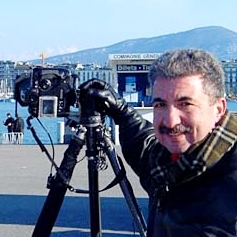 Soon after was freelancing for United Press International and a career was born. Presidents, Kings, Queens, Princesses, worldwide breaking news, sporting events, Olympics, fashion runways and supermodels were all in a day’s work. My travels have taken me to every state and nearly every major city worldwide. to photograph and represent their brand in press kits, editorial publications and social media. I present and speak with students, at all levels, on all facets of photography. I’ve photographed every president since Nixon, the number of runway shows total into the 5 figures, more than 20 World Series and Super Bowls, NBA championships, countless Title Fights, not to mention the College arena. I followed soon to be Presidents on the campaign trail, riots, blackouts, famine and weather. I’ve been published in most major magazines, newspapers and books globally. 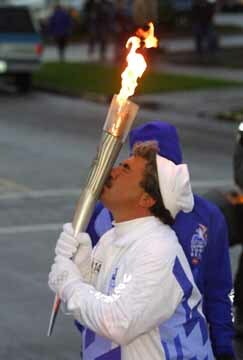 progress through 48 states in 65 days and had the privilege of being a Torchbearer. To paraphrase the great photographer Ansel Adams, I don’t take pictures, I make them. Being a photographer it’s not what I do, but it’s who I am. Building relationships with the people I photograph is my hallmark style. Creative and innovative, developing concepts into reality with a no problems, just solutions approach, delivering on time and on budget. Welcome to my Site & Blog. Please feel free to drop me a note.